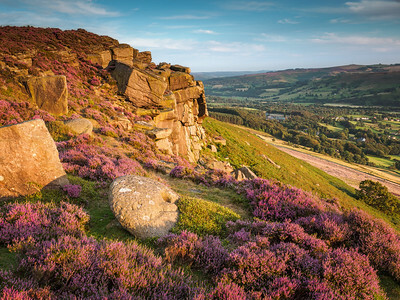 The Peak District is an area of great diversity, it is conventionally split into the northern Dark Peak, where most of the moorland is found and whose geology is gritstone, and the southern White Peak, where most of the population lives and where the geology is mainly limestone-based. Spectaular rays of sunlight shining down onto the villae of Hope. 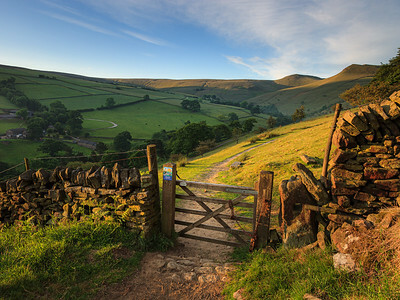 Classic shot of the wooden gate on the Great Ridge between Mam Tor and Hollings Cross at sunrise. 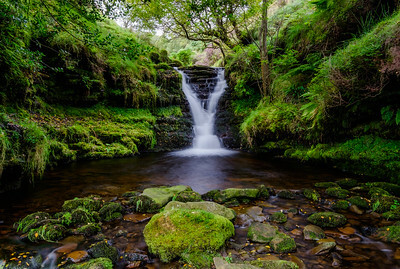 A waterfall hidden in a small moss covered cove near Kinder Scout. 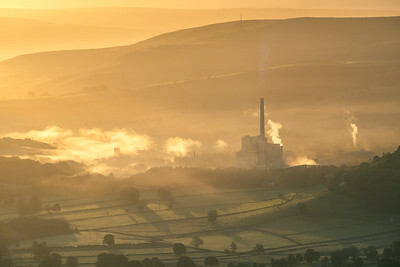 The cement works in the Hope valley on a misty morning. Looking down into Winnats Pass as storm clouds pass over Castleton. Kinder Scout trigpoint on a stormy day. Dusk sky over the Monsal Head viadusct and the Wye valley. 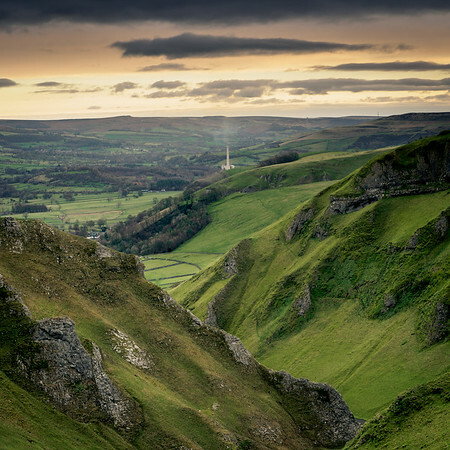 Looking down from the top of Winnats Pass towards the cement works. A view down the Edale valley from the slopes of Win Hill. 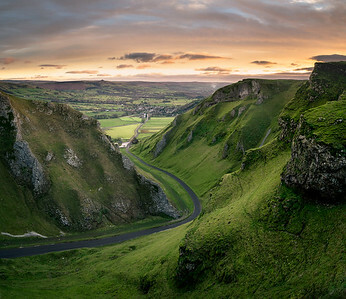 A winter sunrise looking down from the top of Winnats Pass. 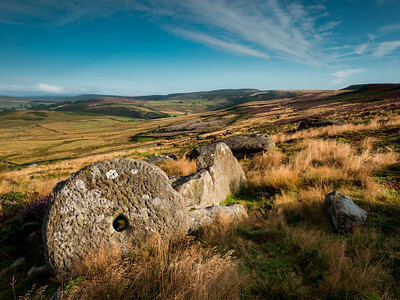 An old millstone amongst the heather on Bamford Edge. A pair of unfinished millstones in the Derbyshire Dales. Looking along the Mam Tor ridge from Rushup Edge at sunrise. 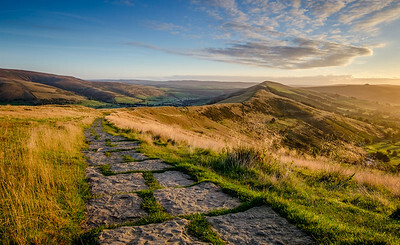 A stone path leading from Mam Tor mountain along the ridge. Rocks on Kinder Scout on a stormy day. Waterfall in Fairbrook Clough near Kinder Scout. 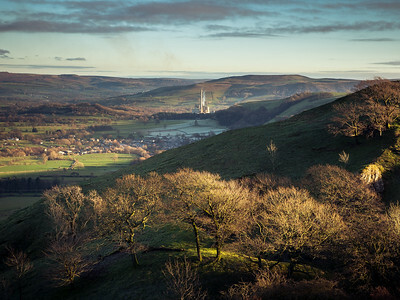 A view across the Hope valley towards Castleton on a winters day. Stormy clouds over Kit Kat rock near Hathersage. The Autumn sun rising over the Hope Valley seen from Mam Tor. 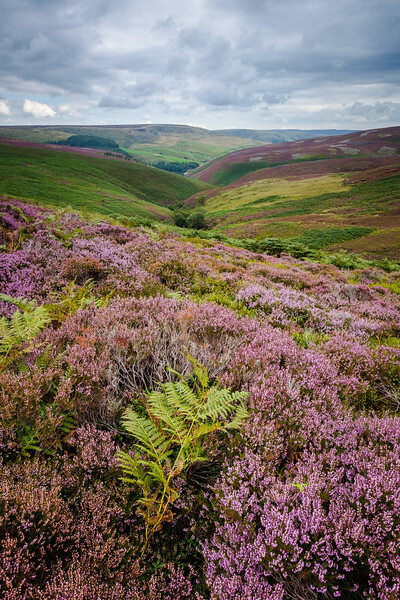 Looking across the heather towards Ashop Moor. The Three Shires Head water fall at the meeting point of Derbyshire, Staffordshire and Cheshire. Strange rock formations on the gritstone edge of Fairbrook Naze. 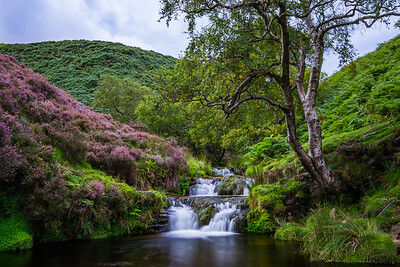 A waterfall amongst the heather and trees in Fairbrook Clough. 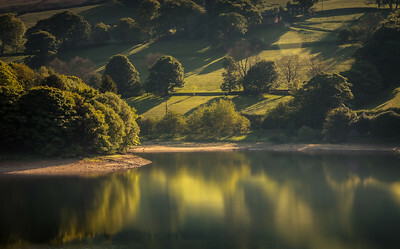 Summer sunset over Bamford Edge and Ladybower reservoir. A winter sunrise over a misty Hope valley.